Travis Kalanick disclosed the leave in a company-wide email as the company sought to reverse months of controversy. Travis Kalanick is taking an unspecified leave of absence. Uber chief executive Travis Kalanick said Tuesday he is taking an unspecified leave of absence as Uber announced dozens of changes intended to increase diversity, guard against inappropriate sexual behavior and bolster the independence of a board tied too closely to Kalanick. He disclosed the leave in a company-wide email as the company sought to reverse months of controversy -- much of it over allegations of sexual harassment and other unprofessional conduct -- that had brought the ride-hailing service to crisis. "The ultimate responsibility, for where we've gotten and how we've gotten here rests on my shoulders," Kalanick wrote to employees. "There is of course much to be proud of but there is much to improve. For Uber 2.0 to succeed there is nothing more important than dedicating my time to building out the leadership team. But if we are going to work on Uber 2.0, I also need to work on Travis 2.0 to become the leader that this company needs and that you deserve." Uber also announced recommendations Tuesday from a report by former U.S. Attorney General Eric H. Holder Jr., hired by Uber to address mounting criticism of the company amid a wave of scandals. The full report is being withheld from the public and the bulk of the company's 14,000 employees worldwide. The recommendations, which were released at an employee meeting at the company's San Francisco headquarters, were accepted by the board at a marathon meeting on Sunday. The recommendations are sweeping and touch virtually every aspect of company management. They advocate for weakening the grip of Kalanick and his allies on Uber's board by adding new members and appointing an independent chair. Under the proposals, senior managers will undergo mandatory leadership training, and Uber's current Head of Diversity will be renamed as the Chief Diversity and Inclusion Officer and report directly to the chief executive or chief operating officer. The report called for employee complaints to be handled using a comprehensive process, and for upgrades to employee benefits including equal family leave time for both male and female workers. Reports that Kalanick was considering a leave had sparked intense speculation over who might lead a company that has been built in the chief executive's brash image. The corporate shakeup already has prompted several executive departures, including Monday's announcement that Senior Vice President for Business Emil Michael, a close Kalanick ally and confidante, was leaving amid pressure from the board. Uber also announced Monday that it was adding a new member, Nestle executive Wan Ling Martello, to one of several empty seats on the board. She is expected to bring financial expertise while also providing another high-profile woman to a company criticized as exemplifying Silicon Valley's male-dominated "bro" culture. The Uber board has been struggling to right the trajectory of company, worth nearly $70 billion by some estimates, but have limited ability to remove or even reprimand Kalanick, who along with other allies have outsized voting power because of a special class of shares they control. The controversies have reportedly cut into Uber's popularity and once-commanding position within the ride-hailing marketplace in 75 markets worldwide. Rival Lyft now accounts for 25 percent of all trips taken in the U.S. ride-hailing market, up from 18 percent at the beginning of the year, according to data from TXN. In recent months, the company found, even loyal Uber customers who have stayed with the service have also increased their spending on Lyft. In the first quarter of 2017, ridership had surged to 70.4 million rides, significantly exceeding expectations. Uber didn't respond to a request for comment. 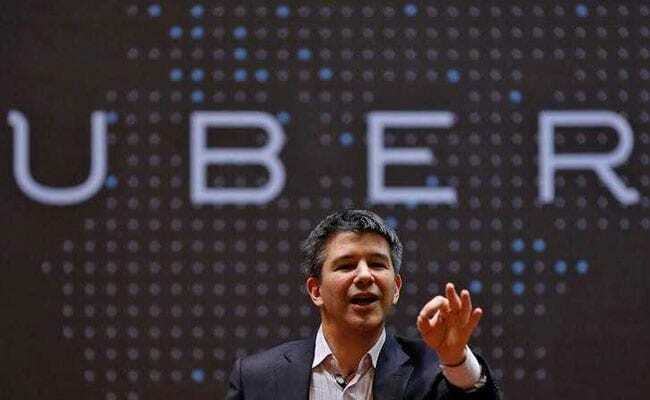 The public mood over Uber began to turn when Kalanick joined an advisory board for President Donald Trump and appeared to undermine a New York taxi strike related to the president's controversial effort to impose a travel ban, sparking the #DeleteUber movement. A scathing blog post by former Uber engineer Susan Fowler, who reported that an unwanted sexual advance by her boss was ignored by company management, triggered a wave of denunciations of the corporate culture at Uber. Waymo has accused Uber of stealing the laser-sensing technology that allows driverless cars to see their surroundings. The legal fight's outcome could have serious ramifications for Uber's long-term business model. Kalanick has effectively bet the business on self-driving technology. Without it, he has said, Uber cannot hope to compete in a world of growing automation. A court ruling against Uber could undermine to the company's efforts to develop self-driving cars, some analysts said, raising questions about its ability to survive in a world where companies from Tesla to Ford are vying for dominance over the future of automated transportation.